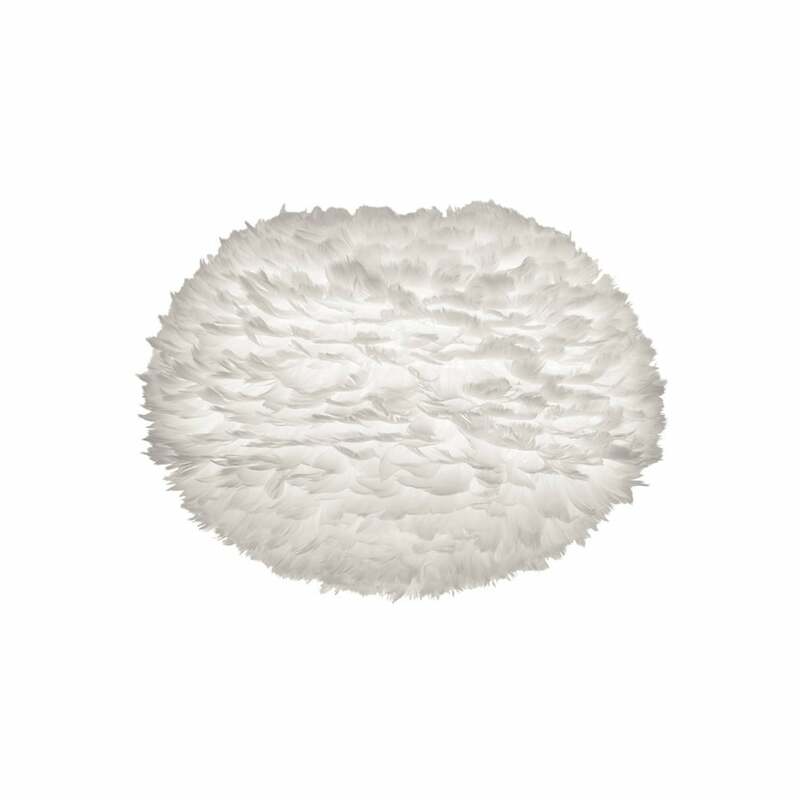 This decorative and unique design easy fit lamp shade is constructed with around 4,500 white goose feathers which overlap to create a full and textured effect. Able to be used as a ceiling pendant shade or table lamp shade this would look great in any contemporary setting and creates a real feel of comfort that would be perfect for any living space. The shade is also CUL approved and fire resistant. Cleaning the shade is as simple as using a hairdryer on a cool setting. For a real impact we would recommend considering the use of one of our smart bulb range, the colour change ability of the bulbs are extremely effective beneath the white of the feathers.